We know, choosing a credit card can be stressful. What if you choose one that piles up fees regardless of your use, or one that has no benefits for your kind of spending? Use these tips to choose the card that works best for you. Before even considering a credit card, you need to have a fairly reasonable idea of your spending habits. Do you spend a lot on dining or entertainment; or are most of your expenses just grocery purchases and utility payments? Does spending on air tickets or purchases while travelling home make a dent in your savings? Maybe paying your kids' school fees is your biggest recurring expense. What this step does is analyse if you really need a credit card and what kind of card you need. And no, a credit card is definitely not a necessity for everyone. Almost all banks have free-for-life credit cards, but they might not want you to get them, for very obvious reasons. So if and when a bank calls you to promote a card, the first question to ask is if it has annual charges; there are some that have an annual fee of up to Dh2,000. However, these paid cards also have a host of niche benefits that might be useful to some people. For example, people who travel constantly might benefit from a credit card that piles on points from travel or give attractive offers on ticket prices and airport lounges. Here's where the first tip comes in handy. 3. Single digit interest rates? Seeing single digit interest rates on your outstanding credit card amount is so satisfying; until you understand that these are monthly rates and the annual profit rate (APR) can come up to 48 per cent for some banks. Islamic banks are Sharia-compliant so interest or profit is not charged on the outstanding amounts. This might be something to consider while choosing your credit plan. Cashback, rewards, air miles, bonus points - so many things you can get by using your credit card. Once again, doing the first step properly means you know what kind of benefits you'd be happy with. Some of these benefits come with terms and conditions, such as minimum spend or are limited to particular retailers; check that as well before you decide. Also, when you sign up, most banks have a range of introductory offers. Call a few banks to see where you can get the best deals for the least effort or cost. Most banks offer more than one card such as a supplementary card or an online purchases card along with the main one. You can choose whether or not to get these to avoid being tempted. Stick to the reasons for which you need the card. Or if you already got them all, activate just the one you need; most cards have a simple activation process. Don't carry the other cards around with you either. Are you planning to use your card abroad as well? Then enquire with your bank or whichever bank you're approaching for the overseas usage rates. Some of them may charge up to 2 or 3 per cent of your expense as processing fees each time the card is used. 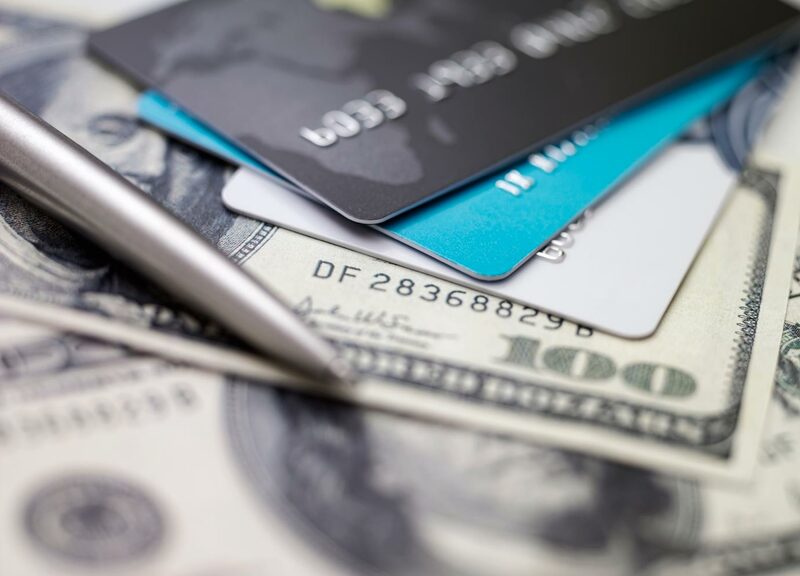 If you have activated your credit shield option, a small negligible amount is recurrently removed for any unfortunate circumstances such as death, injury, or in some cases unemployment, which might render you unable to repay the outstanding amount on the card. It's an insurance for your credit card bill. If you feel that you won't use the credit card for huge expenses, choose not to activate it. Most leading banks offer interest-free instalment schemes for purchases ranging from three months onwards. Do some window shopping to check which cards have the best instalment options for purchases. For example, if you think you are going to invest in gold after getting the card, check the list displayed by various vendors to see the most common cards and their schemes. There are also school-fee based credit card offers where you get an easy instalment plan for your kids' school fees. We always ignore the fine print, the tiny terms and conditions box that we all check 'Agree' to without a second glance. Take time to go through the terms and conditions. Check for any stipulations on spending or major stores that are not included in the offers. Check if there are fees on not using the card for any period of time. Are there additional costs to bear if we use the card for any offer or promotion? After all this is done, you can happily sign on the dotted line to get your card. A credit card is always handy, but be careful of mounting debt. If you feel that the outstanding amount is too high, take a decision to not use your credit card for a month or until you've been able to repay a reasonable amount. Some of the information here has been collated in collaboration with #ibankislamic which aims at creating awareness about Islamic banking in the UAE.